On March 19, the Supreme Court decided a case appealed to it by the government, from the Ninth Circuit Court of Appeals. The case was a class action matter involving several similarly situated alien criminals who first sued the government and won in a U.S. district court in California. That court issued an injunction, forcing its will far beyond its own jurisdiction, and obliging its opinion to be applied nationally. 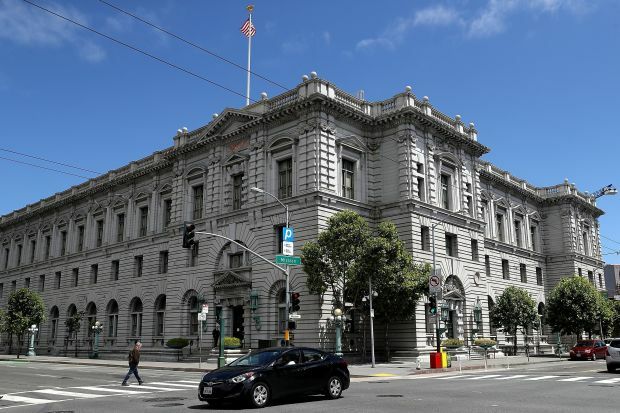 The government appealed and lost at the Ninth Circuit, and now, in the final round, has prevailed at the Supreme Court, which overturned the lower courts. The argument at all levels of the federal judiciary focused on the intent and meaning of the words "when the alien is released". The aliens, in prevailing at the district and circuit courts, argued that the intent was to force the government into a position of mandatory detention only if it was able to assume custody immediately upon release; if any time elapsed between release and arrest by immigration authorities — as little as 24 hours, according to the aliens' filings in the courts — then the aliens were presumed to be entitled to consideration of bond. It's worth noting that in the context of removal proceedings, such a view also means that if the government imposes a bond or other condition of release not to the alien's liking, that, too, may be appealed through the immigration courts and into the federal judiciary; one can see that endless avenues of appeal develop, resulting in shockingly long delays in ever getting around to a decision on the case-in-chief, which is to say, removal of a dangerous alien criminal. My colleague Art Arthur has written a blog post focusing on the finer points of the arguments that bests anything I could possibly write, so I won't attempt it, but this time-limiting property ascribed to the phrase always struck me as an artificial interpretation, and I cannot help but wonder if the lower courts stretched to accept it simply because the results would be more to their liking. It always seemed clear to me that use of the phrase "when the alien is released" was a short-hand expression of the conditional, rather than the chronological circumstances of assuming custody of the alien. In other words, I believe that it was another way of saying, "upon the release of an alien from custody by state and local authorities". The legislators were expressing their will that immigration authorities should not attempt to short-circuit state or local courts by taking custody while the alien was still within the confines of their criminal justice system, including while serving any sentence imposed by those courts, but once having been released into society, even on a short leash such as parole or probation, then the provision should kick in and permit the authorities to arrest, detain, and initiate expulsion proceedings against the alien criminal. This interpretation certainly makes better sense when one looks at the follow-on language to be found in the statute. Had the legislators intended "when the alien is released" to imply immediacy, wouldn't they have used the phrase, "immediately upon release"? They didn't, and probably could never have conceived that the phrase would be so inaptly misconstrued. Considered rationally, accepting the arguments made by the aliens and their attorneys at the original trial and appellate levels, inevitably leads to preposterous results. If an alien manages to evade, or escape the notice of, federal immigration authorities, he is rewarded for the evasion by being accorded to right to a bond or other conditional release if/when he is ever found, and that may be a long time in the future given the ease and mobility with which aliens may hide and reestablish themselves within our huge country. Such an interpretation also rewards sanctuary jurisdictions, because they have chosen a course of action in which they render it impossible for immigration agents to know when an alien criminal is going to be released so that they will be in a position to immediately assume custody. They deliberately cast a cloak of silence over their proceedings and their inmates by refusing to allow their police or deputies to communicate and cooperate with federal authorities. In a real sense, sanctuary governments collude with alien criminals in evading arrest by immigration agents by ensuring that they are released to the street, leaving the agents to try to pick up the trail after they are gone. Multiply this scenario by the thousands, and one can see that it becomes a needle-in-a-haystack proposition. Is this in the public interest? It is not. Does it promote public safety? It does not. Time and again, we have seen such short-sightedness, which results in violence and murder when violent alien criminals are released without the knowledge of immigration enforcement agents. It happened again most recently when an alien criminal, who was released by California police authorities at least nine times despite the filing of immigration detainers, went on to stalk and murder an innocent victim (see here and here). And yet that is the interpretation of "when the alien is released" that the lower courts were content to force on the government by misconstruing the intent of Congress in INA Section 236(c). Happily, the Supreme Court has intervened to instill a modicum of common sense into the interpretation of the law. Its decision can be found here.